Out of the more or less three hundred lots that count the dispersion of the workshop of the sculptor and engraver Félix Schivo (1924-2006), beyond the amount of work done, it is certainly his polymorphic character that intrigues most. Large re-terprétées statues from the universe of the engraver Jacques Callot (1592-1635) rub shoulders with busts with tight planes; Small terracottas with bright colors, appearing people of Righteousness, adjoining with engravings where dominates a deep and mysterious black; Drawings of landscapes Pyrenees or Aveyronnais dialogue with large polychromatic plasters of animals or Mime Marceau, and cracked ceramics. 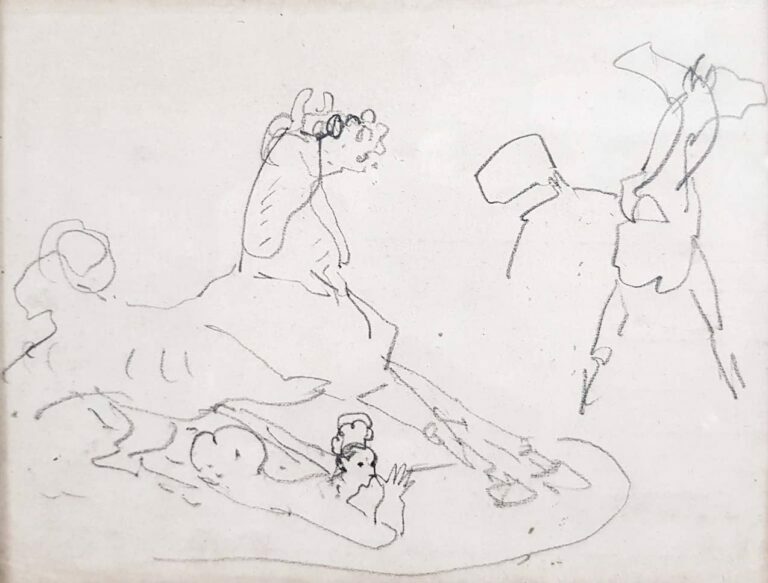 Picasso, Toulouse-Lautrec or Jean Cocteau... so many famous artists ' names gathered for the next sale of objets d'art, paintings and furnishings on Saturday, March 9 at Françoise Kusel and Pierre Champion, auctioneers of ivory France. On March 1st, Florent M.S. and François Wedry organize the sale Men and Women, the Art of all kinds. This new theme in their sales program will offer you a vision of art through the prism of genres through time and different techniques.